Buzz says that the producers of the most debatable and watched reality show have approached the three for the forthcoming term. The 7th term of this highly awaited TV show Bigg Boss is expected to hit screens on September 15. The names of partakers are yet to be disclosed. According to a very close source the producers made efforts to call up cricket player Harbhajan Singh to take part in the show. The source also added that TV actress Pratyusha Banerjee has also been approached to take part in the show (Bigg Boss 7). Big Boss, so far is the most anticipated Indian television for 2013. The previous TRP proves this fact. 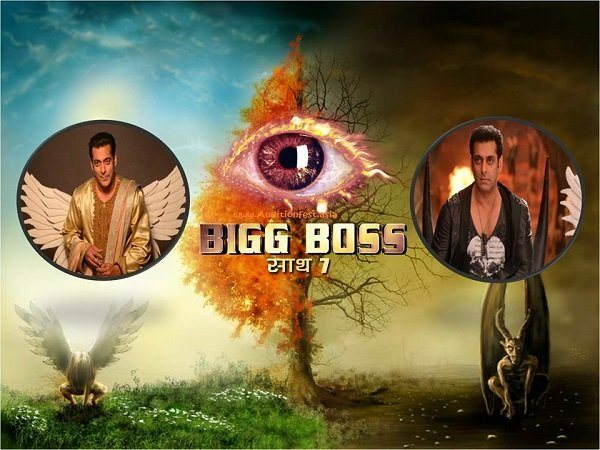 Sources say that Bigg Boss 7 will get aired on Colors TV channel during the 2nd week of this month. Bigg Boss is already hitting the limelight even when the names of the partakers are not publicized yet. Other people who are rumored to have been approached include Nikhil Arya Sangram Singh, Rahul Vaidya, Adaa Khan, Rakesh Paul, Mahi Vij, Smrti Irani, Madhura Naik, Cyrus Broacha, Salma Merchantt, Barkha Bisht, Kushal Tandon and the controversial cricketer S Sreesanth. Some other rumors say that this forthcoming season may also feature a few of the old players such as Dolly Bindra, Pooja Missra and Imam Siddique again. The most recent puzzler came when the promos of the show showed Sallu Bhai in double character i.e. of a holy person and an evil spirit. The punch line this time will be kept as ‘Saat Saath’. Television actor Urvashi Dholakia was the winner of the earlier season of ‘Bigg Boss’ overcoming Imam Siddique. The Bigg Boss partakers are generally a mixture of political leaders, reality show graduates, hopeful models/actors, item girl, comedians, international stars, TV actors, vocalists, sports people, movie actors, one non-celebrity and one individual from the LGBT society each year. As such this year too, Bigg Boss is planning for something very big with a super masaledaar-contentious- spicy -khatta-meetha blend to get to the top TRP biz like every time. Come on! They too understand their potential audience and what do they want of the show. We will come up with more updates shortly. So stay with us to get masaledaar news every time.